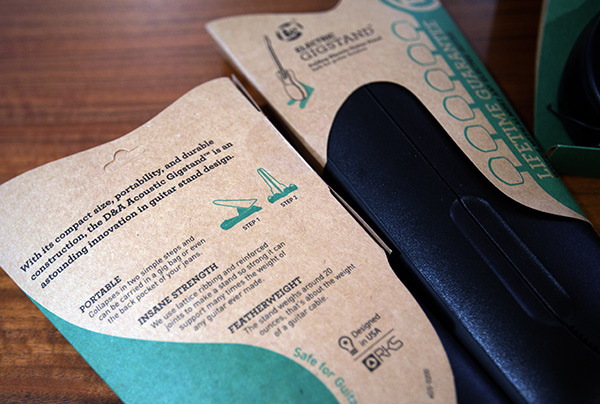 Love the clean design and packaging of the D&A Guitar Stands and Wall Hangers! 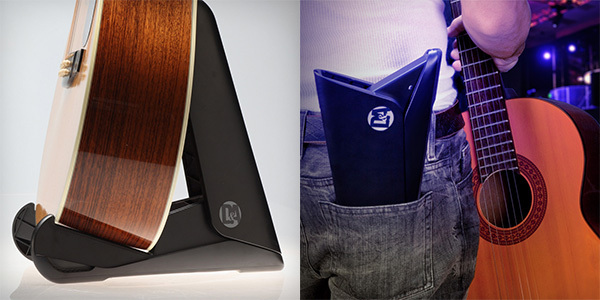 Their GigStands fold up sleekly to slip into a guys back pocket (they didn’t quite fit in mine), but when opened become a pop up guitar stand! There are two models, one for electrical, and a deeper one for acoustics. The way it opens and closes is brilliant! 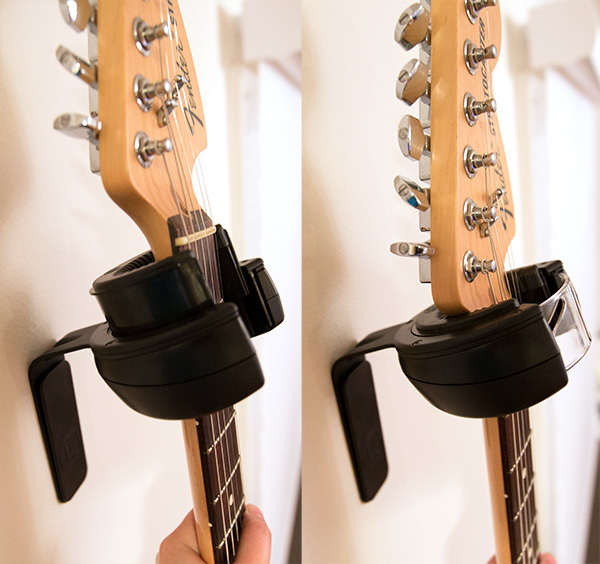 There are also two Guitar Hangers, one passive and one active. 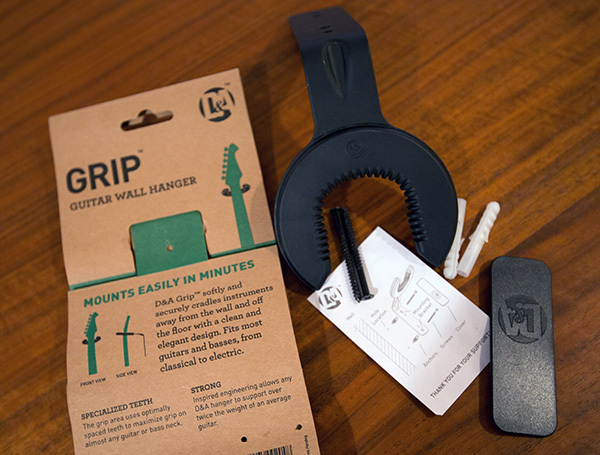 The the Grip Wall Hanger is the passive model which hangs elegantly. 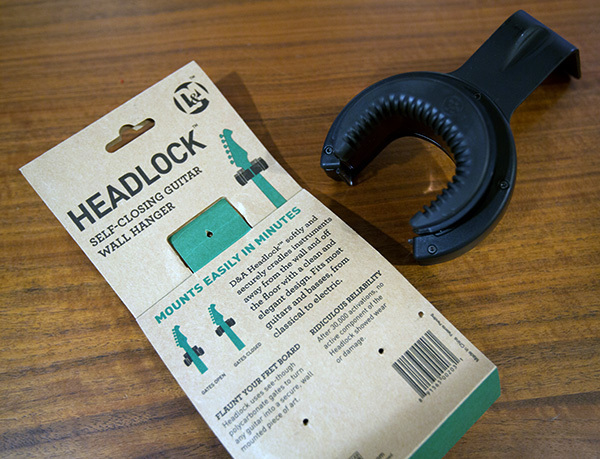 The active Headlock Wall Hanger is open when there is no guitar weight on it, but when you put the guitar down it auto-closes. 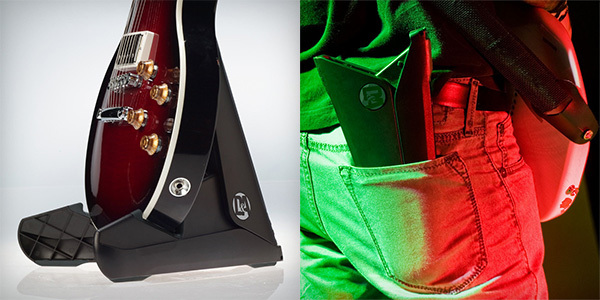 There are thoughtful designs to all of the models, from great grip to keep your guitar pristine, as well as plate covers to cover the screws in the wall mounts. Take a peek at it all up close on the next page! 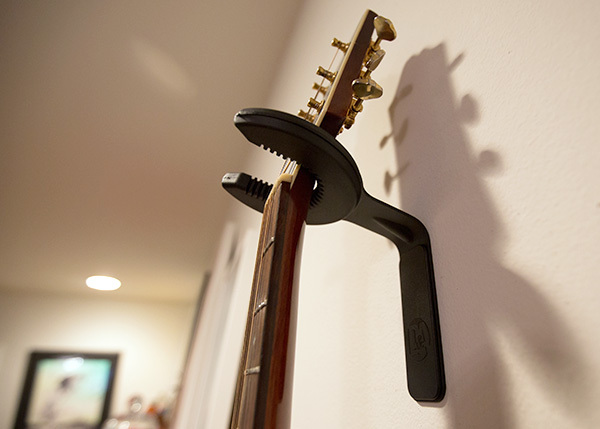 Firstly - the Headlock Wall Hanger - where you lift and it opens, put the guitar down, and it auto-closes. 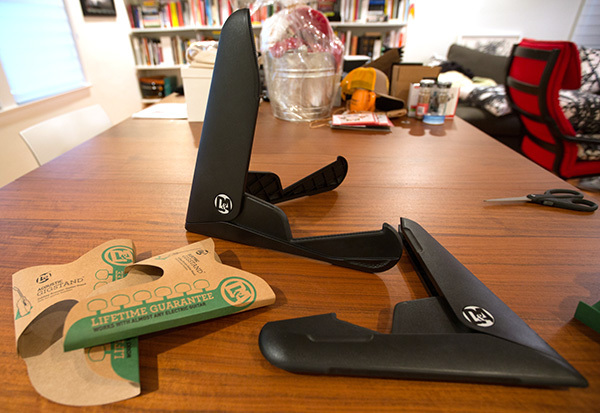 Thinking about getting both of these. 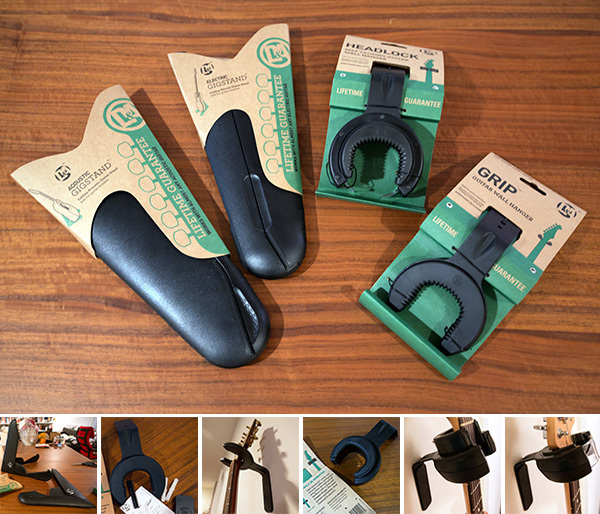 Do you know what the installation process for the guitar hangers? Can’t find it anywhere. Thanks !